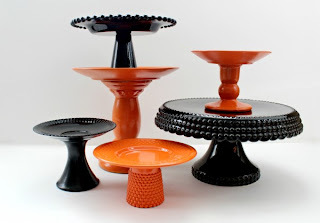 You can easily convert your household dishes or fun mis-matched thrift store dishes into beautiful cake stands. 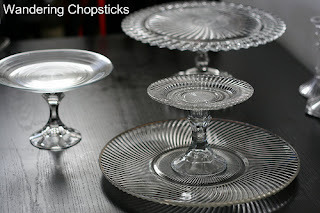 I took a quick stop to the $1 store and purchased various plates, bowls, candle sticks and flower vases. 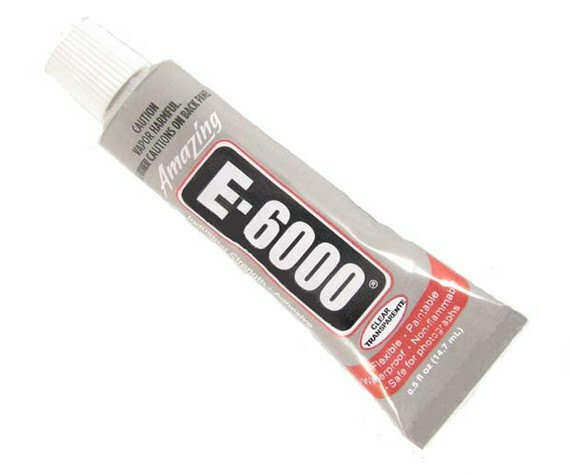 I used E-6000 adhesive since it dries clear, is paintable and is water proof. I had first used my hot glue gun, it will not work. 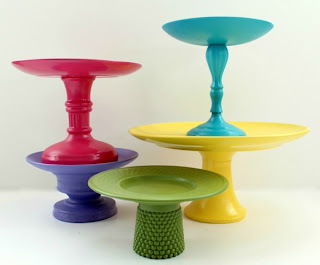 If you desire you can spray paint your stand for a cohesive look.